Here in Rockland, Maine, winter is just around the corner. As the air gets colder and snow begins to fall, escape to warmth and comfort at Berry Manor Inn. We’ve got all manner of amenities to make your stay with us on the Maine coast a memorable one. You’ll never be cold, even in the harshest winter storm, with our luxurious accommodations. With fireplaces in all of the rooms and in our common area, there are plenty of places to cozy up and stay warm and dry. 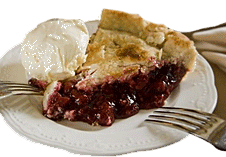 While you’re there, sip on a glass of wine or indulge in a decadent plate of fresh pie and ice cream. Eight of our twelve rooms also have whirlpool tubs, including three with room for two, so you and your significant other can soak your troubles away safe from the frigid air outside. And what better way is there to warm up than by snuggling up in one of our comfy beds? In 2016 Berry Manor Inn was named one of the country’s Top 10 Most Romantic Inns, so bring along a cuddle buddy and turn up the heat with our Romance on the Coast Package! With delicious chocolate-dipped strawberries, rose petals, and a chilled bottled beverage, you can watch the snow fall out your window from the comfort of your specially prepared suite. Maine in the wintertime also has a wide variety of things to do so make the most of your time here and check them out! However you decide to spend your getaway, you can look forward to retreating back to your cozy lodging at the Inn. There’s nothing quite like a hot meal to warm both body and soul, and here at Berry Manor Inn our culinary delights are bound to entice the senses and please any discerning palate. We believe that a good day starts with a good breakfast and there’s no shortage of them at the Inn. Our menu rotates daily and offers alternating sweet and savory selections in addition to hot coffee, juice, or tea. 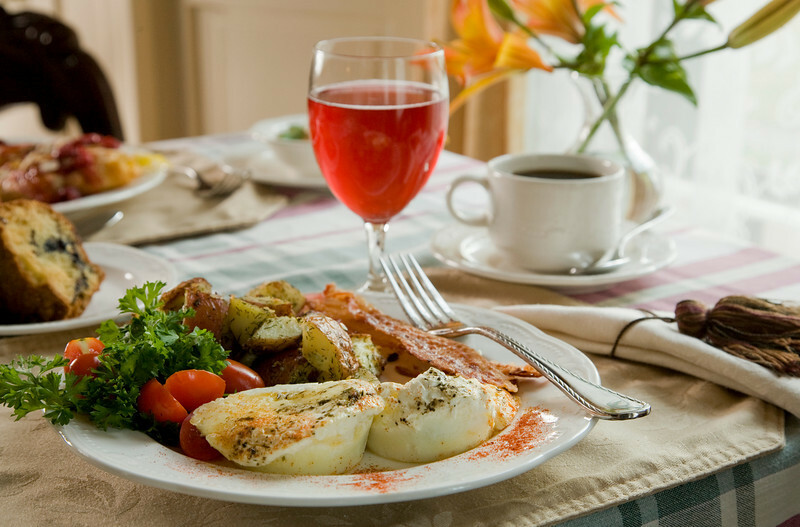 Prepare to be wowed with choices like Maine Blueberry Sour Cream Coffee Cake, Raspberry Stuffed French Toast, and Baked Eggs with Tomatoes & Basil. Breakfast is just the beginning. Our amazing and delectable pies come courtesy of our resident Pie Moms! Featured on the Food Network with Bobby Flay and on Dirty Jobs with Mike Rowe, their love of baking and incredible recipes have been passed down and are responsible for the warm and delicious pies served to our guests. Come and see what all the fuss is about and grab a slice for yourself! Recipes for our breakfast dishes, pies, and much more are featured in our own cookbook, “Inn-Dulgences.” Take a little piece of us home with you and make some of our incredible dishes from the comfort of your own home. Berry Manor Inn is close to some of Rockland’s best cuisine. Our area also has one of the highest number of restaurants per capita in the U.S. so there’s never a shortage of intriguing dinner destinations to suit any connoisseur of good food. 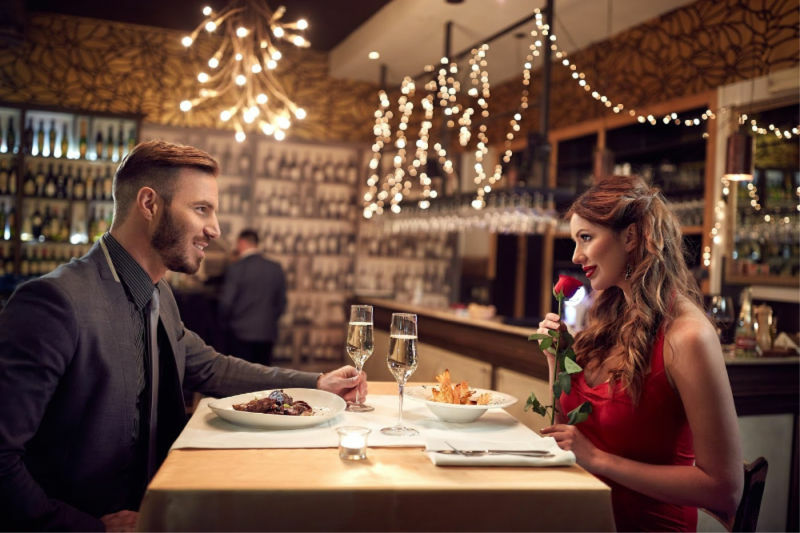 We have an exhaustive list of restaurants featured on our website that all receive our personal recommendation, so feel free to peruse the selections and find the perfect place for a night out on the town. And who could forget about Lobster? Maine’s signature export is in abundance in Rockland, the self-proclaimed Lobster capital of the world! Make sure you don’t leave without trying this delicious local favorite. 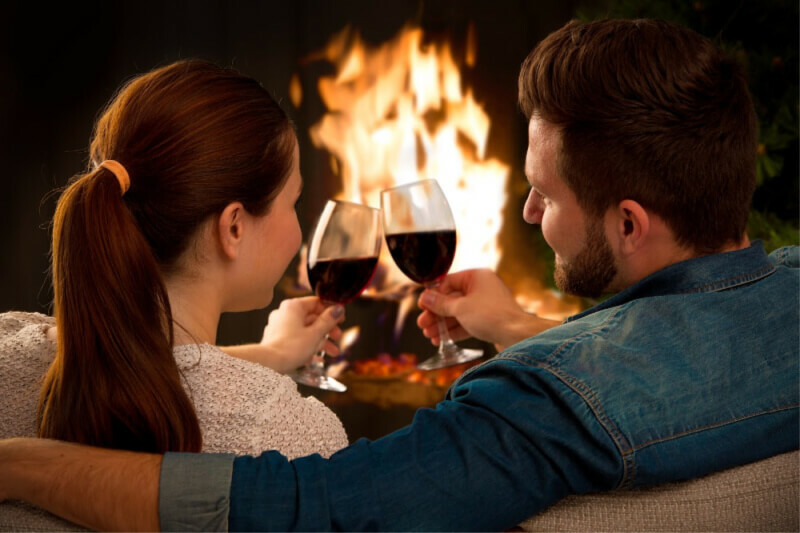 To round out your evening, check out these fun wintertime activities to make your date night truly special. Winter, though a cold season at its heart, is also a time of incredible warmth. The holidays arrive and families reunite once again. It is a time of love, cheer, and spending time with those we care about. Here at Berry Manor Inn, we have everything you need to make your vacation a truly unforgettable experience. Come inside and take refuge from the winter winds, we’ve saved you a seat by the fire. This entry was posted on Monday, December 3rd, 2018 at 3:35 pm	and is filed under Amenities & Features, Awards & Media, Maine Activities, Rockland Attractions.